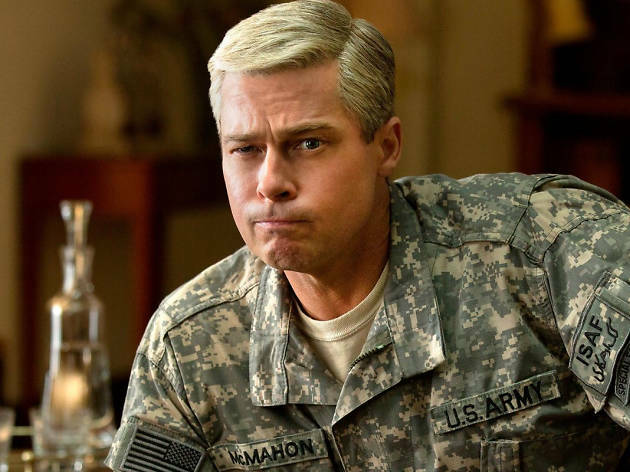 Brad Pitt puts on his ‘confused but forthright guy’ face and hops on a plane bound for Kabul in this smart, informative, slightly-too-broad Netflix Original satire. He’s four-star US General Glen McMahon, a loosely fictionalised proxy for General Stanley McChrystal, whose surprising behaviour during his tenure as the Commander of US Forces in Afghanistan was the subject of a non-fiction book, ‘The Operators’. McMahon’s antics include leading a troupe of clownish, ill-equipped and frequently sloshed hangers-on, lying to his superiors and to the Afghan president Hamid Karzai (Ben Kingsley, wonderfully sly), and openly bad-mouthing the Obama administration in the presence of a journalist. Some of this is intentional misdirection – McMahon is a man who knows how to get what he wants, by any means necessary – and some of it is macho misjudgement and/or outright stupidity. 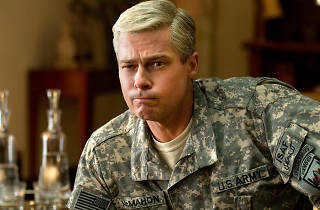 If ‘War Machine’ never settles on a comfortable tone it’s largely down to Pitt, whose grimacing performance is just a nudge too extreme. But there’s so much here that works: the script is consistently surprising, weaving between sharp wit, goofy slapstick and statistical fact. As an indictment of modern warfare, it’s all too believable: these men have all the money, technology and gung-ho will in the world, but are consistently undermined by their own inflated egos. And when the film finally gets serious – following a platoon of young Marines into enemy territory – it’s absolutely riveting, offering an angry rebuke to self-styled noble lions like McMahon who venerate the ordinary soldier then send him off to die. A messy, troubling and strangely enjoyable film.